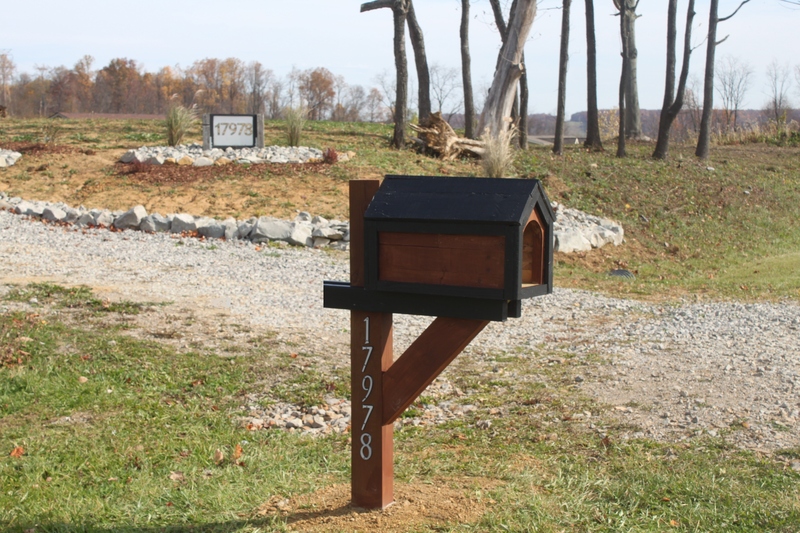 We needed a mailbox for the farm – and wanted it to match the barn and surroundings. After looking on-line and in stores over the past few months – we realized anything unique was well over $125 to $150.00. We decided to continue the recycle, re-use and re-purpose theme and build one ourselves out of a few pieces of left over scrap lumber and a pallet. 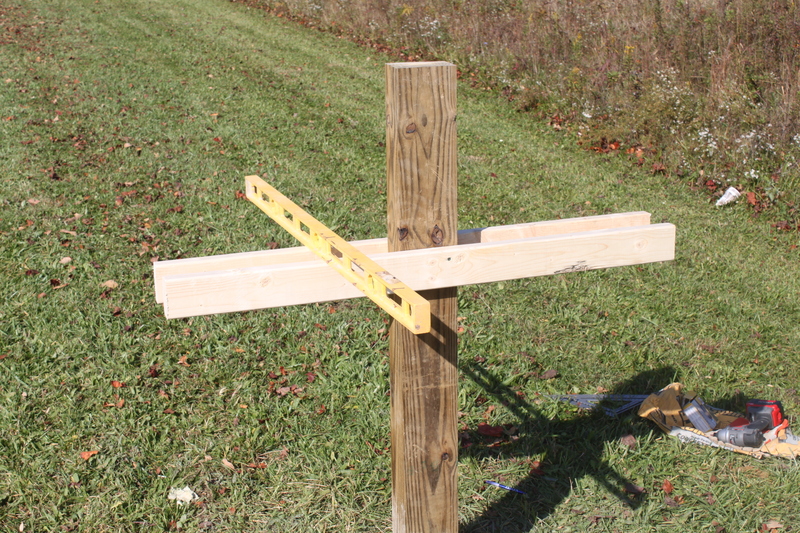 Utilizing the scrap we had on hand – our total cost was under $13. But even if one had to purchase the couple of 2x boards needed for the project, you would still be under $25 to build. A single pallet is all you need! After the frame was attached – we simply covered it with strips of pallet boards, and added a thin piece of pallet wood for trim around the edges. All cuts were made easily with the jigsaw. Setting the post. Digging the hole for the post was actually the hardest part of the job! 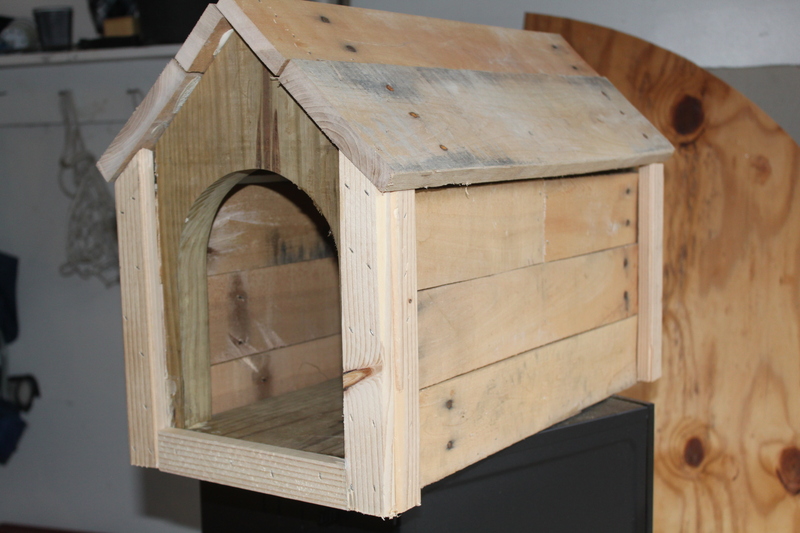 Last step – we added angle boards at the bottom – cut off the back post supports and put the final coats of paint on the trim and roof. Beginning with a couple of scrap pieces of 2 x 10″ lumber left over from another building project – we made the base and two ends. The base we cut at 22″ long to make the rectangle needed for the mailbox to sit on. We then cut two more pieces from the 2×10 stock at 18″ high for the end pieces. We drew a 45 degree angle line from the top of the end pieces – and used the jigsaw to cut the roof lines for each piece. For the front of the mailbox – we took the mailbox we would be using and traced the outline of the door. We then cut that out with the jigsaw as well. Next, we assembled the 2 ends with glue and a few screws to the 22″ long base. 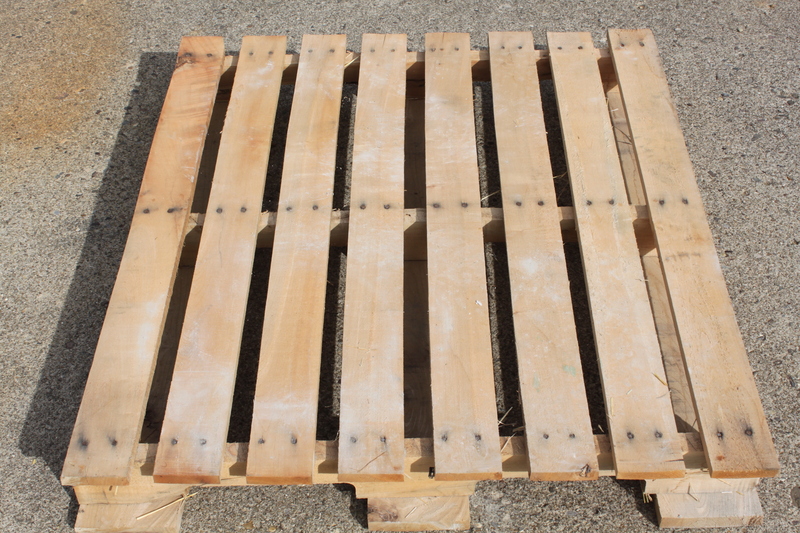 Once the main base was assembled – we cut 6 of the pallet slat boards to 22″ long. 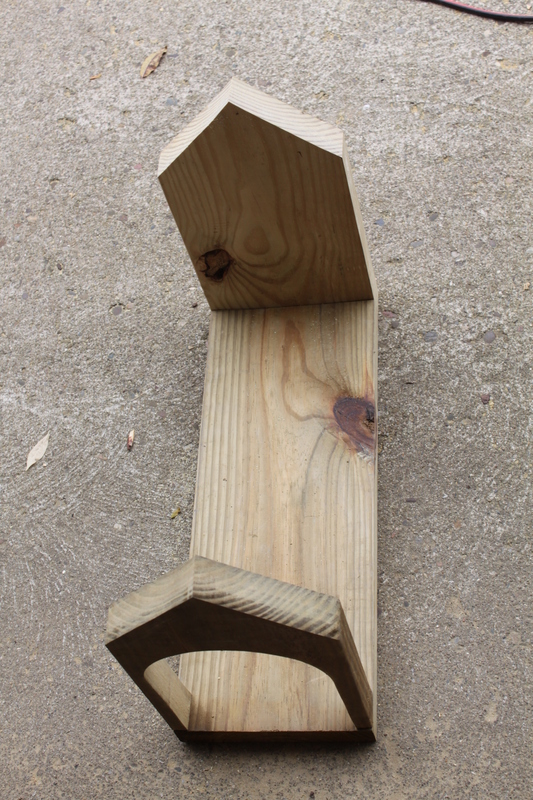 We used those to build the sides – gluing and nailing them to the two end pieces. We then cut four more slat boards at 26″ long for the roof top – and again attached them with glue and nails – leaving each end with about a 2″ overhang. 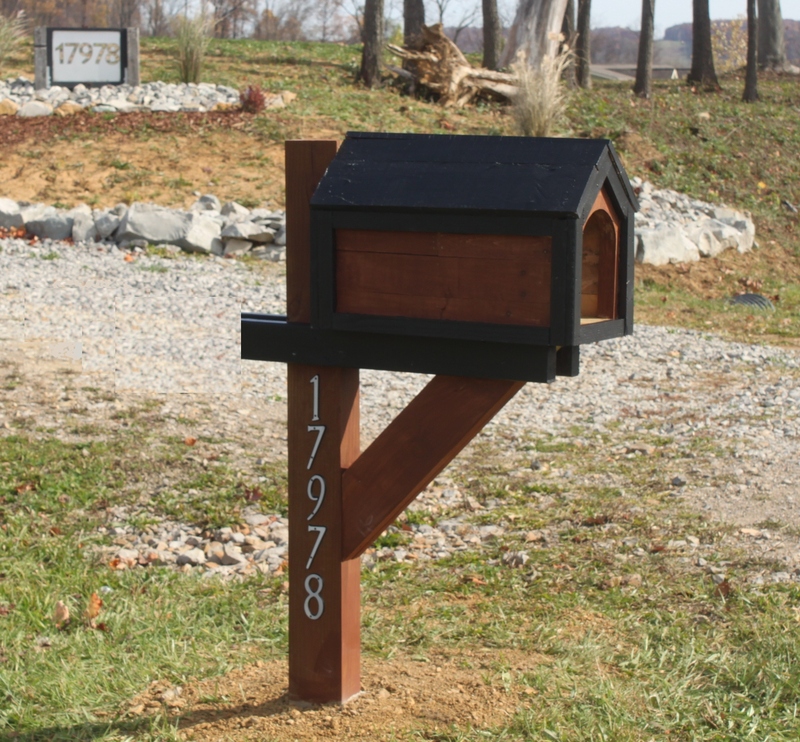 At this point we decided to add some trim to the mailbox house to dress it up a little bit. 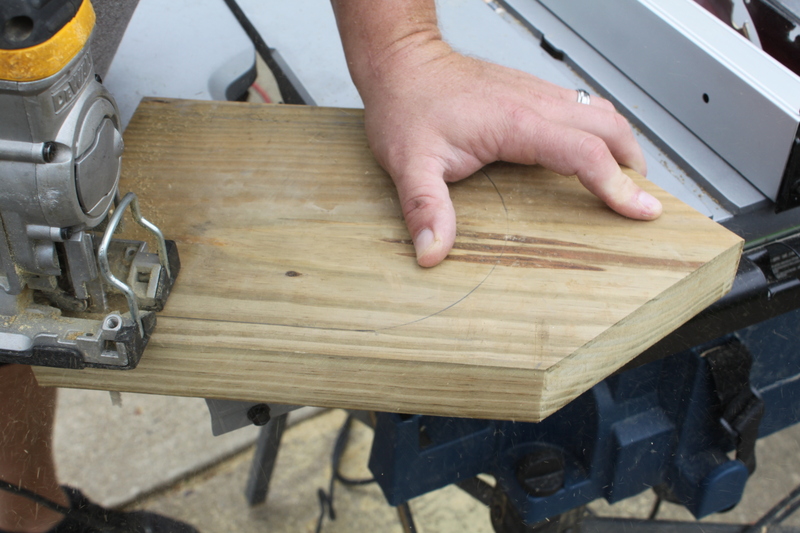 Using some more pallet boards – we cut 1″ wide trim strips with the jigsaw. 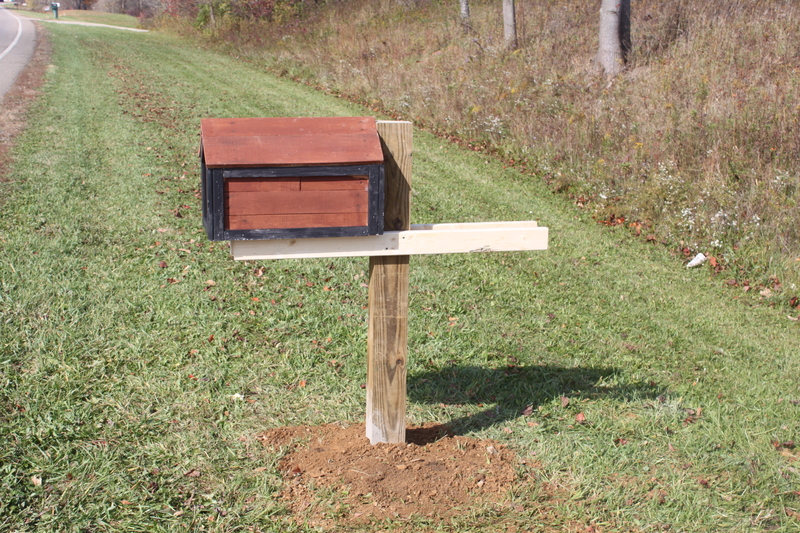 and then cut them down as needed to trim out the corners and bottom of the mailbox. 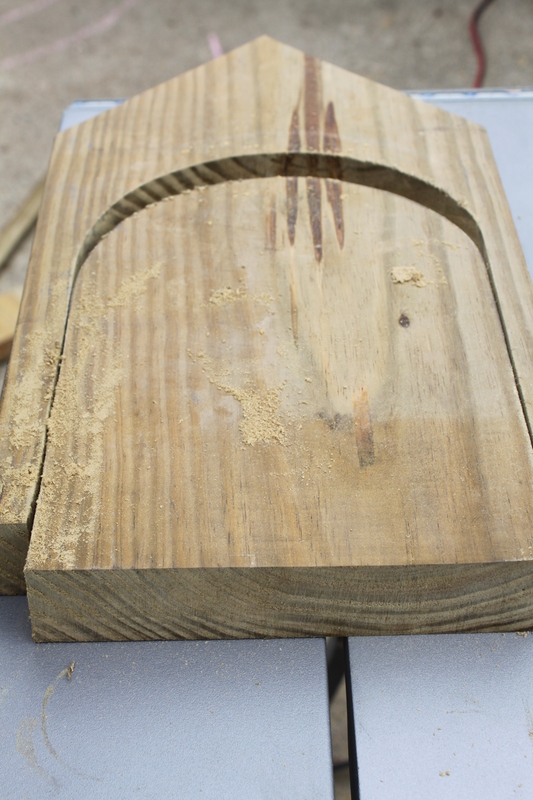 Using the pallet wood and wanting a rough look – the jigsaw was more than okay to use for the cuts. A quick coat of paint and stain we had left over from the barn – and we were ready to install! 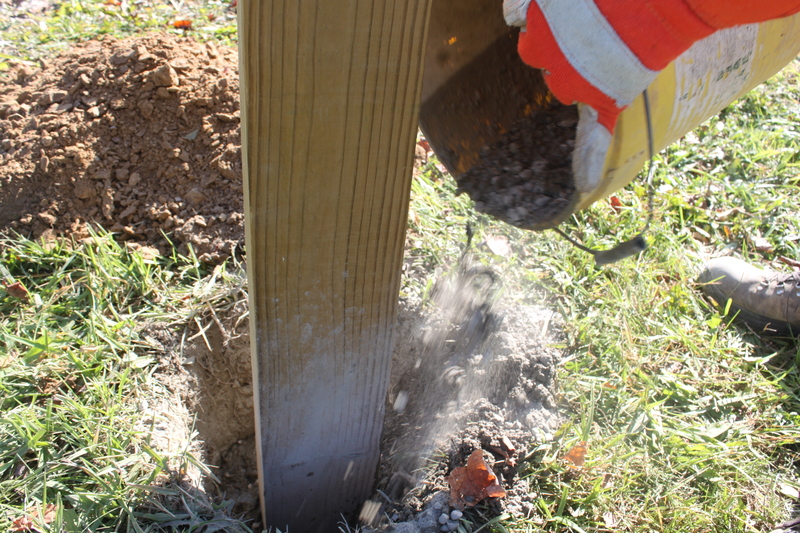 The hardest part of the project turned out to be digging the hole for the post at the road! We have dug quite a few holes for a lot of different projects around the farm – and I can say without a doubt – the dirt near the road bed is the hardest anywhere on the farm! After scraping and clawing with the post hole diggers for over an hour – we finally had the hole dug to the proper depth (28″ for us). One final note: we ended up cutting off the back-end of the 2×4’s from the post. We had originally thought about attaching a sign to it – but decided we liked it better without. To receive our DIY and Gardening Tip Posts each Tuesday – sign up to follow the blog via email or hit the “Like” button on the Facebook tab on the left side of the page. 3 ea.) Small pieces of scrap 2 x 10 lumber : Lengths : 22″ 12″ and 12″ – a four-foot scrap board will work. ← 31 Years Later…A Dream Is Fulfilled.